Although it is possible--and in some cases necessary--to develop multiple disciplinary alignments, being recognized as a viable member of multiple fields is not an easy feat. 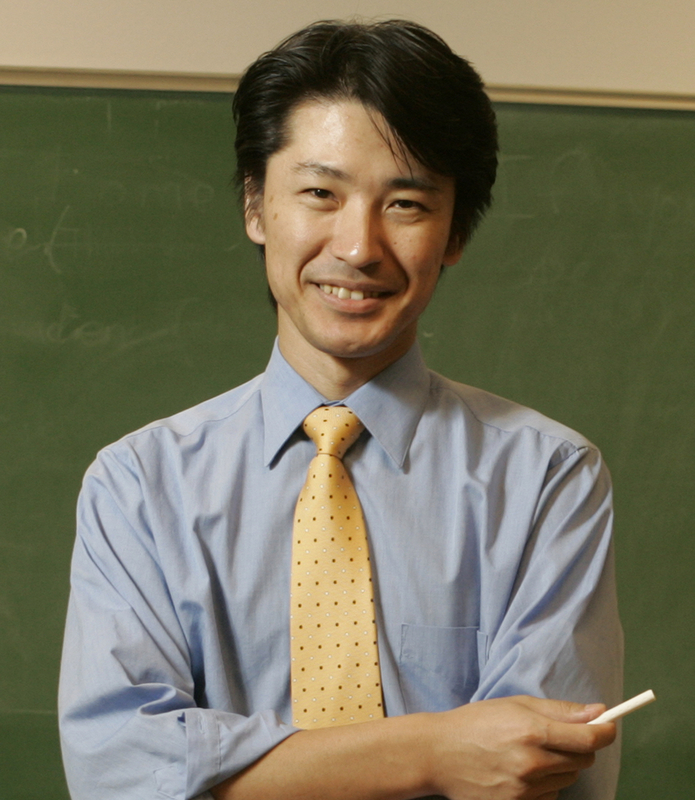 Given the persisting influence of the disciplinary division of labor (Matsuda, 1999), it is important to develop a solid footing in at least one of the main disciplinary contexts. One of the most obvious manifestations of disciplinary alignment is conference attendance. If you specialize in second language writing in the United States, that means you would regularly and actively participate in CCCC, AAAL or TESOL as your home conference--in addition to attending the Symposium on Second Language Writing. The choice of the conference has implications for what you read, who you associate with, and what kind of jobs you will apply for (and get). In any case, working in a transdisciplinary field such as second language writing is not easy because you need to read not just everything that's related to second language writing but read widely in one or more of the related fields. Looks like it's the time of the year when prospective doctoral students begin to explore their options. I've been receiving my share of email queries from students who are interested in second language writing, but since many of them seem to have the same kinds of questions or misconceptions, here are some clarifications. Please note that this information is specific to people who wish to work with me. It should not be generalized to other faculty advisors, programs, or institutions. If you haven't already, please read "Choosing a Ph.D. Program." ASU English Department offers various Ph.D. programs. I suggest studying the Department website thoroughly before contacting anyone with questions. The Ph.D. programs that are most relevant to students interested in second language writing are: a) Writing, Rhetorics, and Literacies; and b) Linguistics and Applied Linguistics. In practice, if you apply for Linguistics and Applied Linguistics and specify me as a possible faculty mentor, your application may be transferred to Writing, Rhetorics and Literacies, which is the program of my primary affiliation. The requirements are flexible enough that you can pursue your interest in either program. I do work with Linguistics and Applied Linguistics students who choose to work with me after being admitted. At ASU (and at many other institutions in the United States), "English Education" means the teaching of English in K-12 institutions in the state. If you are planning to teach English outside the United States or if your interest is in second language education, this is probably not the most relevant program for you. But if you are interested in studying second language writing in the context of K-12 schools, this may be a good fit, but I would suggest checking with the program director. For more information about these programs, please check with the Graduate Studies Coordinator. If you have any procedural questions--such as the application procedure, application materials, deadlines, etc.--please contact the Graduate Studies Coordinator. If you have questions about working with me, please contact me before applying to any of the programs. I will ask you to share some of your ideas and your work to see if your goals and abilities match my expectations. This is also your chance to see if my mentoring philosophy and goals are appropriate for you. You can learn more about my teaching and graduate advising under "Teaching." In the United States, admission into the doctoral program does not involve the approval of the thesis/dissertation proposal. Instead, we admit the best candidates and ask them to enhance their depth and breadth of knowledge by taking courses. Students will then take a series of exams to demonstrate their qualifications before they submit their dissertation proposal. Since I already have a large number of doctoral students, I can only work with highly qualified individuals whose research interests and professional goals match my educational mission--to prepare the next generation of second language writing researchers who will contribute new knowledge and insights by maintaining active research programs. If you do not specify the faculty mentor at the time of application, the program director will serve as your initial academic advisor—until you find your real academic advisor (i.e., your dissertation chair). You can choose your dissertation chair anytime between the beginning of the program to when you have to file your program of study (known as iPOS). If you are interested in working with me, contact me as soon as possible. If you hold a TAship, you will normally teach ENG 101 and 102 during the first year. Starting in the second year, you will be able to request second language sections of first year composition courses (WAC 107, ENG 107 or ENG 108). During the fist semester of teaching second language writing courses, you will enroll in ENG 594, a practicum course, and be mentored by me or one of the advanced doctoral students. For advanced doctoral students with strong background in second language writing and excellent teaching records, there may be other teaching opportunities available. You can take ENG 525, Teaching Second Language Writing, which provides a broad introduction to the field of second language writing and research-informed discussions of various pedagogical issues. This course is appropriate for master's and doctoral students. You can also take ENG 625, Advanced Studies in Second Language Writing, which is a variable title (aka omnibus) course offered under different subtitles. You can take this course multiple times under different subtitles. This course is primarily designed for doctoral students who are interested in conducting research on second language writing, but master's students who are interested in research are also welcome. Depending on your expertise and interest, you may have an opportunity to gain some administrative experience as the Assistant or Associate Director of Second Language Writing. You may also have opportunities to be engaged in special projects, such as being part of the organizing team for the Symposium on Second Language Writing, an annual international conference for teachers and researchers of second language writing from around the world. Depending on my roles at different professional organizations (including AAAL, CCCC and TESOL), you may have additional opportunities for professional engagement. You will also have opportunities to collaborate with me or other students who share similar interests. There are plenty of research and writing projects going on all the time. The information presented here is current as of April 11, 2018. The views expressed here are mine and they do not represent those of program directors, other faculty members, or the institution. Thank you for your interest in Arizona State University. I wish you the best of luck with your application process.